Make $350 to $500 for only one day’s work per week looking after claw machines in Bourke! Looking to own a small business in Bourke? 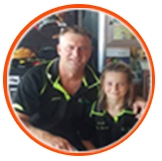 Running a claw machine franchise in Broken Hill and nearby areas should work for you! Work with a franchise business system that has been proven and tested for the past 17 years, minimising risk and maximising profit. Koalakrane claw machines work on their own, requiring no maintenance. Simply spare one day a week to refill and service them. 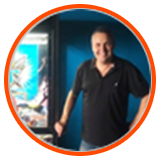 Operate and set up claw machines in Broken Hill and nearby areas exclusively, eliminating co-franchisee competition from the get-go. Even first-time entrepreneurs can operate a Koalakrane claw vending machine franchise with constant franchisee support always available. Koalakrane claw machines work for you, which gives you total control of your schedule to focus on more important matters of your life. Order attractive licensed stock conveniently in your own home and have them delivered to your door in no time. Grab this business opportunity in Bourke or someone else will!